Founder and creative director of Zuzunaga, Cristian is a designer and a practising artist who has worked on a large number of collaborations with some of the world’s leading museums, interior and lifestyle brands. Trained in Typo/Graphic design at the London College of Communications and at the Royal College of Art, Zuzunaga’s work is broad in scope, including print, letterpress, photography, sculpture, textile, and furniture design. His work has been exhibited in London, New York, and Basel during the prestigious Art Basel fair. Some of Zuzunaga’s collaborations include: the Tate Museums, Moroso, Kvadrat, Ligne Roset, nanimarquina, Wallpaper* Magazine, Danskina, Fabergé, Hästens, and most recently with Brintons. The decomposition of colour. Graphic artist Zuzunaga works with the decomposition of colour through pixels, a technique he has applied to sofas, cushions, t-shirts and more. 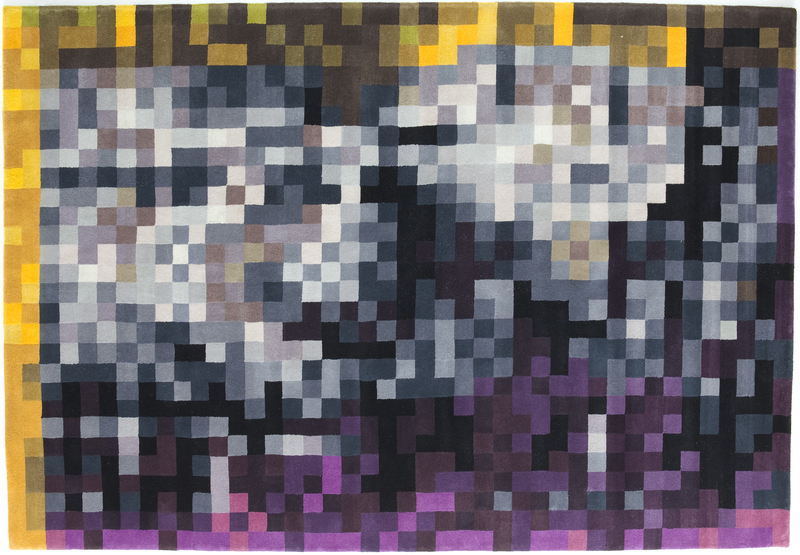 With the Digit collection, Zuzunaga applies his special vision to two rugs made with hand-knotted wool, one in vibrant colours, and a second in subdued tones. The digital and technological style is achieved by enlarging colour photographs to create the designs. Depending on the light or the time of day, a glance captures the random union of the 26 colours in this rug, creating stunning combinations that are surprising to the eye. Digit creates shocking optical effects that mesmerise.